I was lucky to find these DVF pieces on sale and it’s what I call a timeless classic. 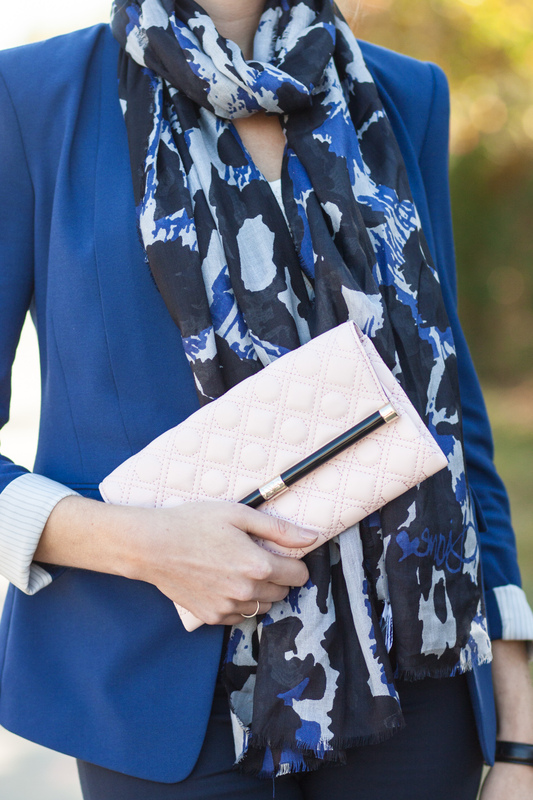 I hope you like the combination of blue in the scarf and petal pink. 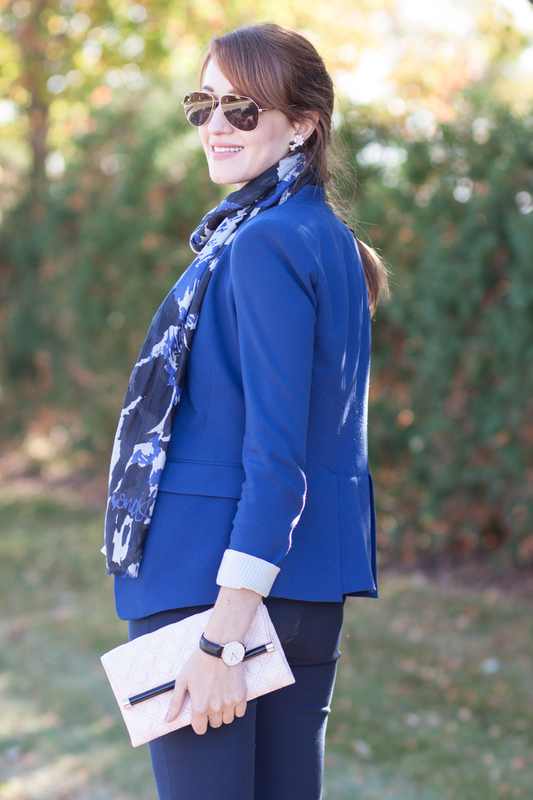 What I’m wearing: BCBG jacket (similar here), Zara pants (here), top on SALE! (here), Rebecca Minkoff shoes (here), DVF scarf (here), DVF clutch (here or new color here), Kate Spade earrings (here). Love the way you styled the cropped pants and the scarf. The scarf DEFINITELY adds a huge pizzazz to the outfit, I’m loving it! What a great outfit! loving your whole look! You looks so beautiful in this dress! Love your scarf! Thank you @trang do. It was such a great find.